Robert Toulon, the great grandnephew of Andre Toulon has brought the puppets back to life, when he manages to recreate the magic elixir. After being brought back, the puppets then face what might be their most villainous adversary yet, Sharpe Toys Company and the Demonic Toys. 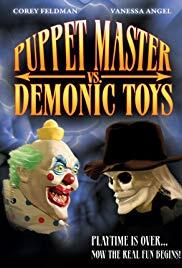 The showdown between Puppet Master and Demonic Toys was a travesty. 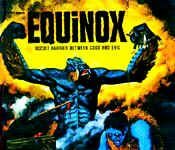 If Full Moon would have put their A game into this project it could have been an outstanding movie. However, the puppets look too wooden and awfully enhanced by computer technology, who also don’t play an interesting part in the film. Cory Feldman probably the only reason why this movie is watchable, saved the film from the lowest possible rating. There was some moments that were funny but overall I was more annoyed than entertained. I was disappointed with the death scenes in the movie and wished there was going to be more action between the puppets and the demonic Toys.